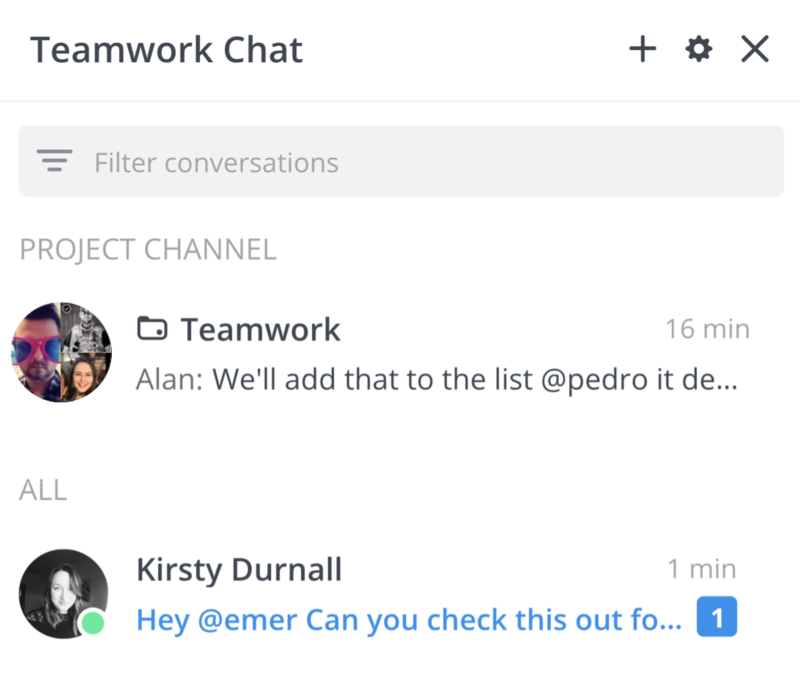 Within Teamwork Projects, you can use Embedded Chat to interact with your team without having to navigate away from your work. The integration must first be enabled via the settings in your Teamwork Chat account. Once enabled, you will see a Chat icon in the top right of your Projects navigation bar. Selecting the Chat icon will open a list view of your conversations and channels in the bottom right of your Projects site. 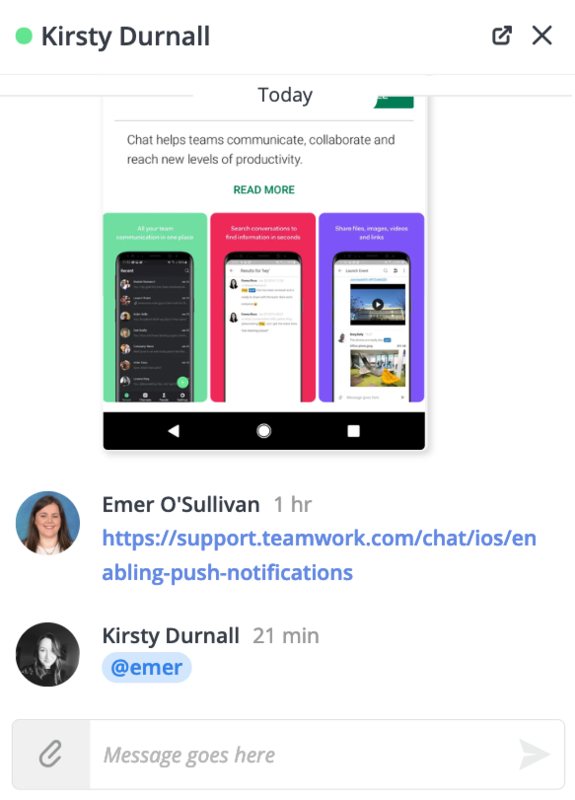 If you are viewing an individual project on your site, and that project has a project channel created, it will be pinned to the top of the conversations list in the Embedded Chat window. If the project doesn't have a channel already created, you will see a note that a project channel doesn't exist yet. You can use the + to the right to create a project channel. To create a new conversation, select the + icon in the top right of the Chat window. A new window will open to the left of the main conversations list, where you can type your message. You can also @mention different users you want to add to the conversation. A pop-up will appear, showing the matching options based on the @ you have typed. From the list of conversations, select the one you wish to view. The conversation will open to the left of the conversations list. You can add a new message to the channel/conversation by typing in the text field at the bottom. The paperclip icon allows you to attach a file to your message. At the top of the Embedded Chat window, you can use the search field to filter the list of conversations and people. By clicking the menu bar, the Chat window will minimize at the bottom of your screen. 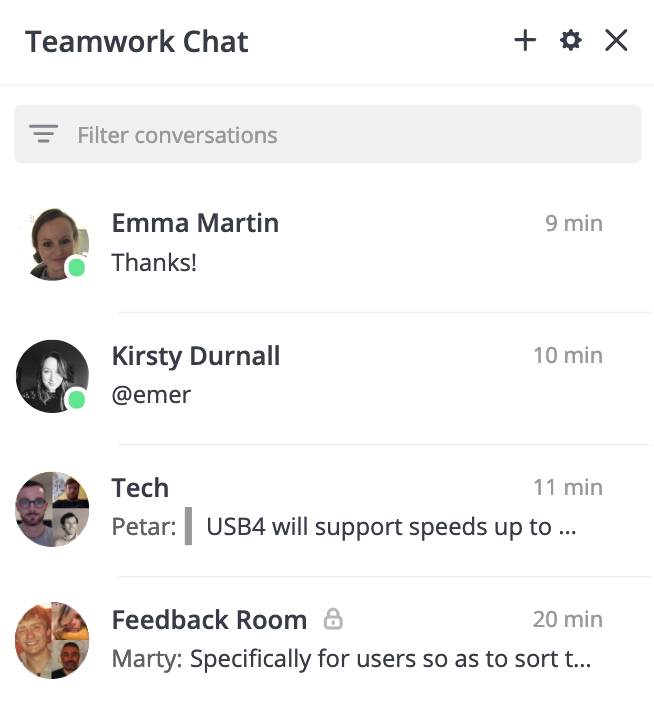 Open the conversation in the full browser version of Teamwork Chat. Click the menu bar to minimize the conversation. When a conversation or channel you are a member of receives a new message, a blue badge icon will appear on the Embedded Chat icon in your navigation bar. A number will be included in the blue badge when you have important unread messages, such as a direct @mention in a message. 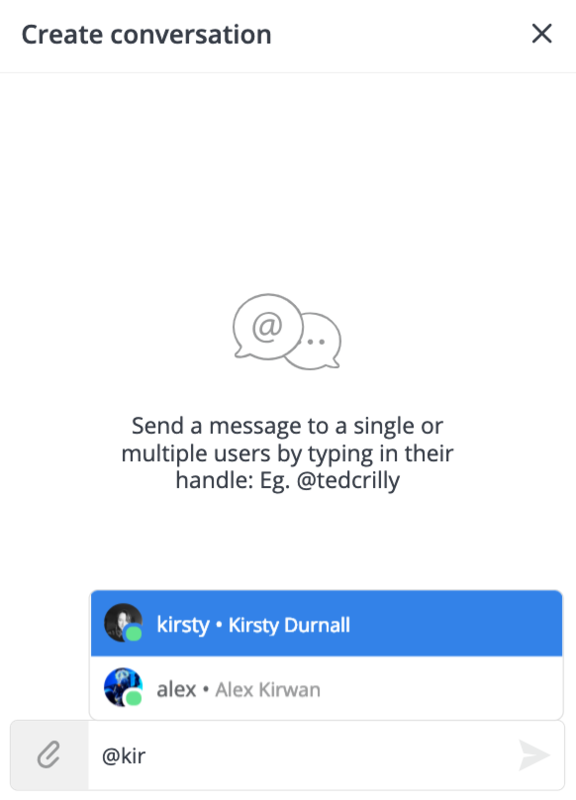 Note: Messages are considered important based on your personal notification preferences for Teamwork Chat. Messages in 1:1 conversations are always considered important. 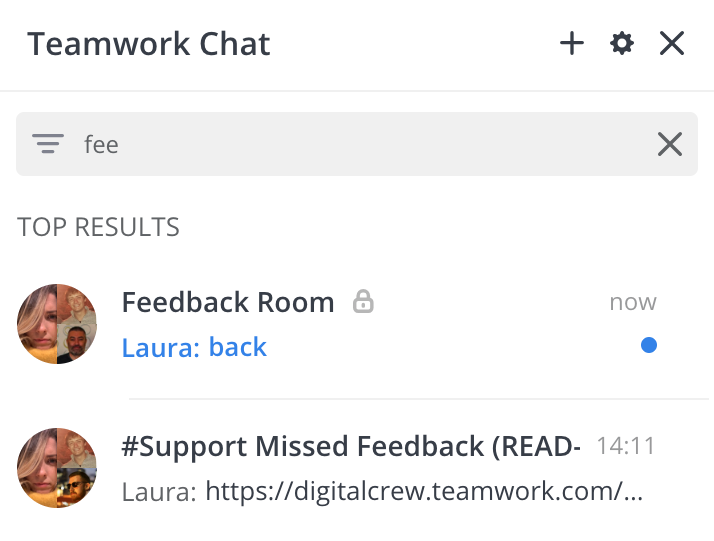 You can manage desktop notifications for Embedded Chat via the settings cog in the main Teamwork Chat window. Once you have enabled or disabled notifications, you will see an alert. Note: This will only disable notifications for Embedded Chat. You will continue to receive notifications in the browser, desktop, and mobile app versions of Teamwork Chat. You can also start a conversation with an individual by using the Start Chat button in the People section, to the right of the persons profile image.